The CIPD has published a manifesto ahead of the upcoming general election that urges the next Government to put “good work” at the heart of its agenda. It includes a proposed package of reforms such as publishing pay ratios, increasing rights for zero hours workers and greater investment in skills and training. What will employment tribunals look like in 2026? 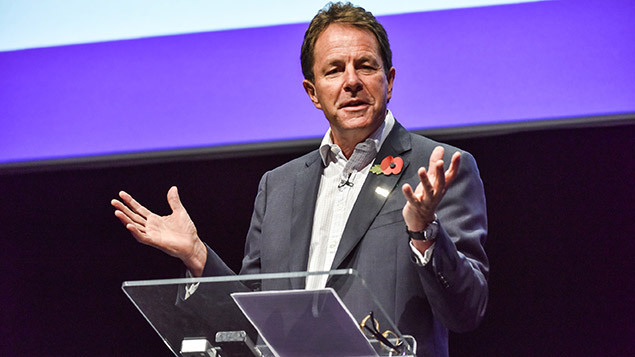 CIPD chief executive Peter Cheese said that the key to building a better economy is “dealing with the longstanding challenges that have led us to a point where pay is stagnating, trust in business is declining and there is falling investment in skills”. “We can only solve these challenges by investing in people through skills and training, reforming corporate governance to improve public trust and increasing diversity in our workplaces,” he added. A pilot of revised Individual Learning Accounts, designed to encourage people to invest in their own lifelong learning, in collaboration with their employer. A new voluntary target for 20% of FTSE 350 board-level executive directors to be women by 2020, with a view to achieving equal gender representation on boards by 2030. Legislation to allow workers on zero hours contracts to request a minimum number of hours after 12 months of employment. Voluntary human capital reporting standards to encourage more publicly listed companies to disclose how they manage their workforce. A Know Your Rights campaign that would help inform people with different types of employment status to know their rights and entitlements “in order to tackle the lack of knowledge about employment rights in an increasingly fragmented world of work”. A broadening of the apprenticeship levy to become a “training levy” with more flexibility around employers’ skills development requirements. A full consultation on the impact of employment tribunal fees to ensure all workers have access to justice. Cheese said that organisations have to restore trust by becoming more transparent, and measures such as human capital reporting would support that. The CIPD has called for the next Government to work with businesses to tackle executive pay excesses, increase transparency and look at ways to tackle low pay, as well as support employee financial wellbeing. Lifelong learning will play a crucial role in tackling skills shortages in a fast-changing economy, he added, and the manifesto urges whoever wins the election to “raise leadership, management and HR capability to boost demand”. It also suggests a “mid-life career MOT” for people aged 50 and above, to be facilitated by employers and the next Government. “By investing in skills and lifelong learning, boosting diversity in the workplace and ensuring that we enhance and protect the rights of employees, we can not only transform corporate cultures, but also help build the high-skill economy needed to cope with the challenges we’re facing,” said Cheese. Finally, the Manifesto for Work references the potential impacts of Britain’s exit from the EU, and the influence this might have on wages and access to skills. It calls for the next Government to ensure that “any future restrictions on access to migrants need to take account of the costs and difficulties this may create for sectors of the UK economy where EU nationals make up a significant part of the workforce”, and that there are reasonable transition periods once these agreements have been reached.